Fortunately, there is a way to protect yourself and your family – in part, at least – from the financial sting of identity theft. How Big a Risk is ID Theft? Buying any form of insurance is really all about the numbers. The same is true for life insurance, health insurance, car insurance, and yes, even identity theft insurance. When you purchase insurance, you’re making a calculated decision. You’re betting, essentially, that a given peril (such as having a car accident or being victimized by identity theft) may in fact happen to you (although you’re hoping that it won’t). The insurance company that sells you the insurance is making a bet too. They’re betting that the danger or peril in question won’t, in fact, happen to you (and they’re hoping it won’t also). At the very least, they’re hoping that a specific danger won’t happen to too many of their insured clients. Despite the odds of something happening, insurance companies know that in any given year, for any type of insurance, they’re going to pay out a certain number of claims. The two big questions really are: who will file a claim and how much of a payout will that person be seeking? When it comes to identity theft, it’s almost a crapshoot on that first question. Clearly, identity theft is an equal opportunity hazard confronting us all. Concerning that second question, about how much in claims will be paid out, insurers have a bit more insight. If the numbers on identity theft are to be believed, and current wisdom has it that about 10 million Americans succumb to identity theft each year, then that suggests the average person has a 3% chance of becoming an identity theft victim in any given year. So far, the “odds” work in the insurance company’s favor. But when looking at those numbers over time, the numbers change exponentially. Those 3% odds grow dramatically each year, magnifying the likelihood of being struck by identity theft over a span of, say, 20 or 30 years. In other words, the odds are actually fairly high that you will, at some point, be hit by identity theft. If and when it happens, that coverage could prove invaluable. 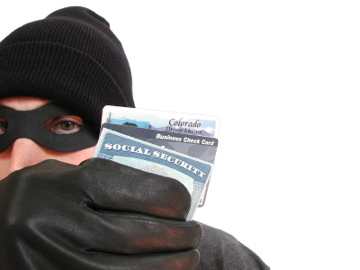 Hopefully, you’ll never be ensnared by the heinous crime of identity theft. If you are the victim of identity theft, however, act immediately. Alert the credit bureaus so they can put a notice in your credit files. Notify your local police department, so that you have a record of the contact the Federal Trade Commission (877-ID-THEFT or www.ftc.gov), and seek help from the Identity Theft Resource Center (858-693-7935 ) in San Diego. “Ask The Money Coach™” is a syndicated column written by personal finance expert Lynnette Khalfani-Cox, co-founder of the free financial advice blog, AskTheMoneyCoach.com. 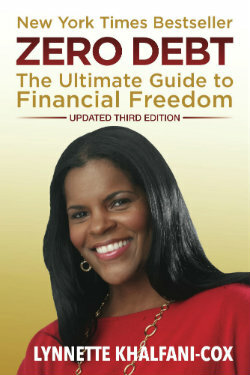 Follow Lynnette on Twitter at @themoneycoach.